Tag Archery offers a unique and fun way for people of all ages to enjoy archery! 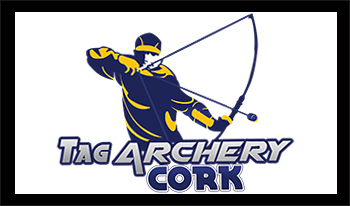 Tag Archery is a very versatile sport and there are many different games which can be played. We have chosen a number of different games which will be sure to entertain you and exercise both your mind and body! Here’s an idea of just 2 of the games we play. This is the first game you will play. There will be 2 teams, and the aim of the game is for each team to score the most points for the duration of the game, typically 10-15 minutes. All players will remain in the game for the complete duration whether hit or not. All points will be awarded by the referee who will keep score and announce the winner at the end of the game. In this game every player is playing for themselves. The aim of the game is to be last person to be hit. There are no teams, but just like in the Hunger Games you can form alliances, but who can you trust and what will happen when its only you against your allies. This game will help you to find out who your friends really are!! Will you be the Last man Standing – Join Us at Tag Archery to find out.